Editor’s Note: It’s an annual tradition for TLNT to count down the most popular posts of the previous 12 months. We’re reposting each of the top 30 articles through January 2nd. This is No. 29 of the 800 articles posted in 2018. You can find the complete list here. 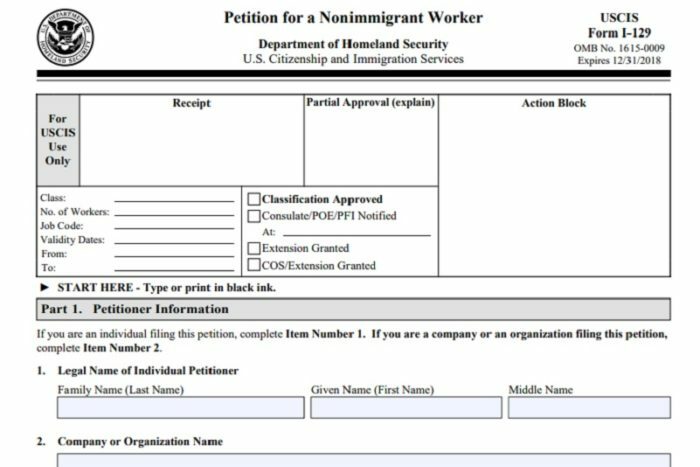 If your company is hoping to sponsor employees through an H-1B visa this year, now is the time to start preparing your petitions (if you haven’t already). This year, United States Citizenship and Immigration Services (USCIS) is expected to announce that it will begin accepting applications on April 2 (because April 1 falls on a Sunday). Because preparing the necessary documents takes several weeks, it’s best to consider April 2 the deadline for your application to arrive to USCIS (translation: you don’t want a postmark date of April 2; you want the envelope to be delivered to USCIS on April 2). Last year USCIS received 199,000 applications in just five business days – far more than the 85,000 H-1B visas it’s permitted to issue. Here are some key things to think about as you prepare an H-1B application. H-1B applications include a lot of moving parts. To ensure your application is complete, consider following a checklist so you don’t forget a crucial piece of paperwork. Keep in mind, though, that this list is designed to make sure your application is complete – checking all the boxes does not guarantee that your application will be successful. Whether this is your first time through the H-1B process or your hundredth, it’s always wise to consult with an immigration law attorney to make sure you’re maximizing your odds of success. Job Description — Too many applicants rush through this section without giving it the attention it deserves. It’s important to be thorough in your job description for a few reasons: first, it helps illustrate that you have a critical business need for this role. Second, it outlines exactly what the worker will do day-to-day. If your application is approved and the USCIS discovers, during an audit, that the H-1B employee is performing duties different to what you described in the job description, your company could be found non-compliant, which could lead to fines or penalties. Labor Condition Application (LCA) — This write-up sets the stage for your application by outlining the job title, salary or wage level, and work location you’re seeking a visa for. By submitting this document, employers agree to pay the foreign national employee at least the local prevailing wage or your company’s actual wage, whichever is higher, to ensure that the H-1B holder is paid the same salary a U.S. worker would earn in a comparable position at the same location. Site Visit Readiness — Some employers may experience unexpected site visits from USCIS as a result of having H-1B visa holders in your workplace. If you’re not prepared for these visits, they can be stressful, especially if your mandatory paperwork isn’t well organized and easily accessible. I’ve written before about how to prepare for a USCIS visit, so I won’t rehash the details here. What’s important to know: the Trump administration and USCIS have issued several memos this year around the H-1B program. The general message is that enforcement is up. Following the letter of the law – and being able to easily demonstrate as much – is essential to obtaining approvals and remaining compliant and in good standing. One important thing to note about the H-1B application process: it requires meticulous attention to detail and knowledge not just of your business and the sponsored role but also of existing and proposed regulations that affect work visas. In other words, don’t be frustrated if you find the application to be more than a one-person job. In our experience, the least stressful way to compile an H-1B application is to enlist someone who understands the HR side of things, someone who’s licensed and experienced in the practice of immigration law (like a licensed immigration law attorney), and someone who’s good with details. This eases the pressure on each participant and helps ensure the application has the best possible chance of succeeding. If you’re already feeling overwhelmed by the process, take a deep breath. We’ve put together an H-1B visa resource center with materials to answer many of the most common questions we hear about the process. Jamie Gilpin is the Chief Marketing Officer and Workforce Trends Analyst at Envoy Global, which offers the only immigration management platform that makes it seamless for companies to hire and manage a global workforce. She studied the relationships between job seekers and employers for more than a decade and became passionate about the skills gap and employers’ inability to find qualified talent, especially in the STEM areas. Prior to joining Envoy, Gilpin was the vice president of marketing and branding at CareerBuilder LLC. She is a frequent speaker and author on the topics of recruiting, workforce issues, the skills gap, employer brand, candidate behavior, marketing and big data. Gilpin also sits on the advisory board of Innovate+Educate, a nonprofit implementing research-based strategies to close the national skills gap and bridge the opportunity divide. Please visit www.envoyglobal.com or email jamie.gilpin@envoyglobal.com for more information.